The TTABlog®: TTAB Test: Is "REUBEN'S BREWS & Design" for Beer Confusable with "RUBENS (Stylized)" For Wine? TTAB Test: Is "REUBEN'S BREWS & Design" for Beer Confusable with "RUBENS (Stylized)" For Wine? The USPTO refused registration of the mark shown below left, for "beer," finding it likely to cause confusion with the mark shown below right, for "wine." As usual, the Board found beer and wine related for Section 2(d) purposes, but what about the marks? How do you think this came out? In re Reubens Brews LLC, Serial No. 86066711 (October 27, 2015) [not precedential]. The goods: There is no per se rule that all alcoholic beverages are related. [It just works out that way - ed.]. The Board has found beer and wine to be related on a number of occasions. In fact, the Board was not aware of any precedential decision holding beer and wine to be unrelated for purposes of likelihood of confusion. The Examining Attorney submitted third-party registration and website evidence showing that beer and wine may emanate from the same source, "usually a combination winery/microbrewery," under the same mark. Applicant's evidence showed that there are more than 10,5000 wineries and breweries in the United States, only a few of which produce both beer and wine at the same location, and so, Applicant argued, this overlap is statistically insignificant. The Board found that Applicant's evidence diminished somewhat the probative value of the Examining Attorney's evidence, but that there is "some degree of relationship between beer and wine." This du Pont factor favored a finding of likely confusion. The Board found that beer and wine travel in the same normal channels of trade to the same classes of consumers. Moreover, neither beer nor wine is inherently expensive and they may be purchased on impulse. The marks: The term BREWS was disclaimed in Applicant's mark and has little source-identifying significance, but it is the largest part of the mark and does contribute to the overall commercial impression. The barley stalk reinforces the term BREWS, and the words REUBEN'S and RUBENS are depicted in very different styles. The Board therefore found that the marks are visually very different. In addition, the presence of the word BREWS in the applied-for mark creates a phonetic distinction. As to meaning, REUBEN is defined as "a son of Jacob and the traditional eponymous ancestor of one of the tribes of Israel; a grilled sandwich of corned beef, swiss cheese, and sauerkraut usually on rye bread." 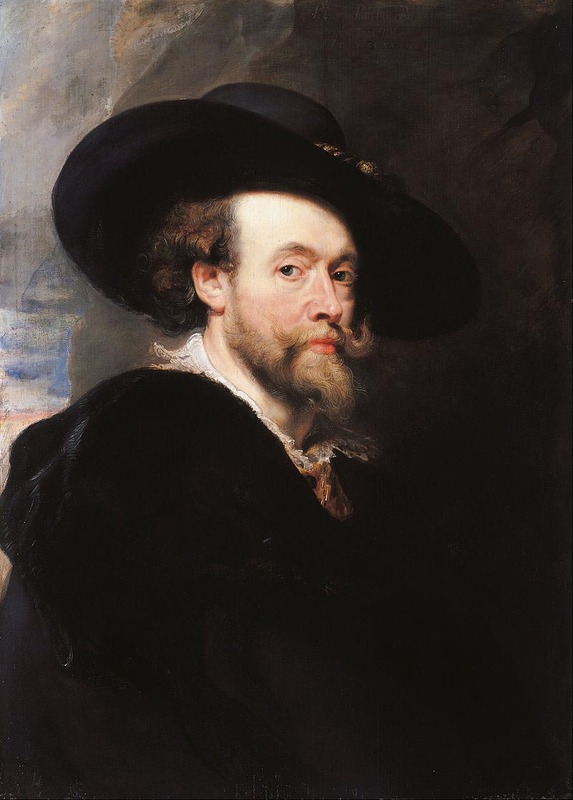 RUBENS is the surname of Flemish painter Peter Paul Rubens, a prominent artist of the Baroque style or period. The Board found that the marks convey different meanings, one being a given name and the other a surname of a noted artist. Moreover the word BREWS has a meaning that one would not expect to be associated with wine. The Board concluded that the marks engender different commercial impressions, and that the differences in appearance, meaning, and commercial impression outweighed the similarity in sound. The Board's conclusion was buttressed by Applicant's evidence of nine pairs of highly similar marks registered for beer and wine by different entities, and differing only by a generic or descriptive term. [E.g., HOURGLASS ALE and HOURGLASS, CABIN FEVER ALE and CABIN FEVER]. And so the Board found that the first du Pont factor weighed in Applicant's favor. Finally, under the catch-all 13th du Pont factor, the Board took into consideration Applicant's evidence of nine existing registrations for identical or substantially similar marks for beer and wine, owned by different entities. [E.g., BLIND FAITH, BLUE MOON, BLACK WIDOW]. The Board concluded that the PTO has taken different positions in the past with regard to marks like Applicant's mark. Considering the relevant du Pont factors, the Board found that the overall differences between the marks tipped the scale in favor of a finding of no likelihood of confusion. And so it reversed the refusal to register. TTABlog comment: A tip of the TTABlog fedora to Applicant's attorney, Mike Drumm (a/k/a BEER LAW), whom I met on my pilgrimage to Denver, Colorado this summer. Now the question becomes why, if the Board could find no precedential decisions on this issue, did they not make this one precedential? It is clear there was a need for guidance. Woohoo! Finally!! Will it continue though? Look at the effort required to prove that different people own the same mark versus the examiner's burden of simply showing some people make both beer and wine. At least know we have some. Maybe we should build a database? It becomes a HUGE uphill battle v. a flick of a keystroke by the examiner. Sort of like INSIGNIA where the Board was reversed using a dichotomous "famous or not famous" rule, there does not appear to be a dichotomous "related goods or not related goods" rule which is sounds like the Board wanted in the Reubens case. In fact there was authority finding confusion unlikely for beer and wine. In re White Rock Distilleries Inc., 92 USPQ 2d 1282 (TTAB, 2009) said there was not a per se rule of relatedness. White Rock cited G.H. Mumm & Cie v. Desnoes & Geddes Ltd., 917 F.2d 1292 (Fed. Cir. 1990) (differences between beer and sparkling wine “weigh against a holding of a likelihood of confusion”) and Nat'l Distillers & Chem. Corp. v. William Grant & Sons, Inc., 505 F.2d 719 (CCPA 1974) (the nature of applicant's prepared alcoholic cocktails and opposer's liqueur and French Brandy “are not such as to contribute to likelihood of confusion”).